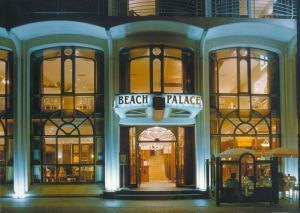 Zeedijk 77-79, 8370 Blankenberge, Belgium. Beach, Near trainstation, Centre, Harbour, Near subway / tramstation. Less than 7 days and more than 3 day(s) before arrival: 2 nights will be charged. Children less than 5 years and more than 1 year(s) old: 15.00 € for each additional bed. Children less than 11 years and more than 5 year(s) old: 20.00 € for each additional bed. Culinary enjoyment. 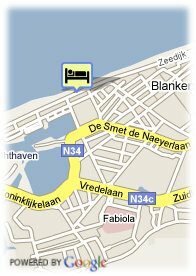 Palazzio: Your day in Blankenberge will start beautifully in the stylish and comfortable breakfast room looking out over the sea. You can choose from the many european specialities from the rich breakfast buffet. L'apero: The cosy english bar is the ideal place to sit and meet friends or just relax after a walk through the center of Blankenberge. Restaurant royal: The luxury french restaurant has lovely armchairs so you can enjoy your meal in real comfort. Of course there is plenty of fish on the various gastronomic menus. Open every evening for relaxed dinners by candlelight. And on the sunterrace of our hotel on the seawall you can enjoy the very best of what a tearoom has to offer.